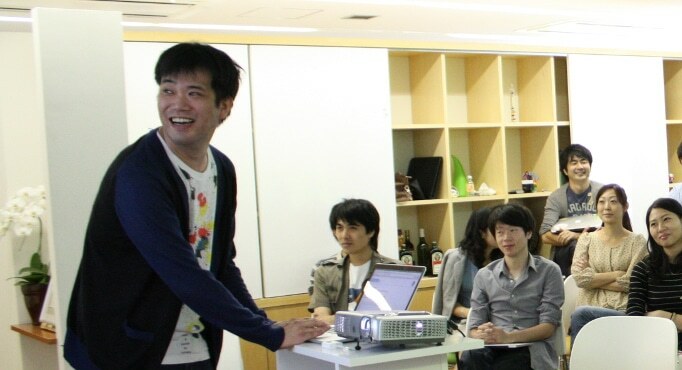 There is far more to startups in Japan than SaaS software and IoT hardware companies. Biotech startups are beginning to make a mark here. Today we sit down and talk with biotech pioneer Mitsuru Izumo and talk about his ground-breaking work at Euglena. In many ways, the team at Euglena succeeded where even NASA failed. They have developed a process to cultivate this microorganism, also called Euglena, affordably and at industrial scale. And Mitsuru and his team use using Euglena to create everything from inexpensive nutritional supplements to biological jet-fuel. 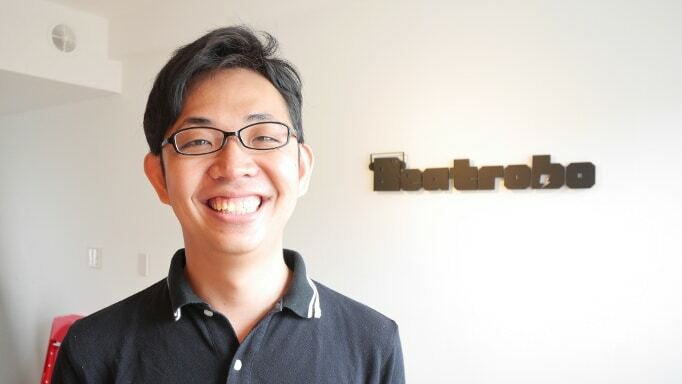 Mitsuru tells an amazing story of how he took his startup from inspiration to proof of concept, to IPO, and how the real innovation is just getting started. Welcome to Disrupting Japan. Straight talk from Japan’s most successful entrepreneurs. I’m Tim Romero, and thanks for joining me. Today, we’re going to talk about slime. Well, actually no, not slime exactly we’ll be talking about algae. Well, actually, the biology nerds out there and I think it’s awesome if you are one, will point out that technically, we aren’t actually talking about algae but a unique organism called euglena, that has both animal and plant characteristics. And we’ll also be talking about a unique company, also called Euglena, that is cultivating this organism at scale and turning it into everything from nutritional supplements to jet fuel. In fact, in this episode, we drink our opening toast not with our usual Anchor Steam beer but with a glass of euglena. Now, I know what some of you are thinking and yes, university research labs and crowdfunding sites are packed with companies claiming that their pet organism is the key to solving a wide variety of mankind’s problems. But Euglena is not operating in a lab but commercially and at massive scale. 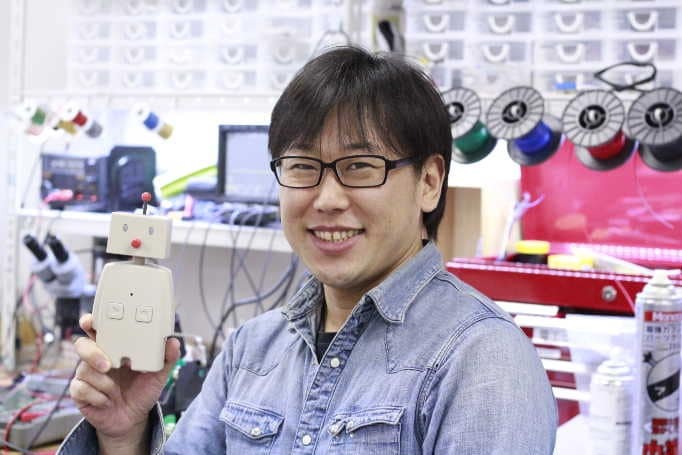 And today, we sit down with the founder and CEO, Mitsuru Izumo, who explains how he overcame initial market skepticism to get financial backing. How he was able to achieve what NASA could not. And how and why he decided to take his company public. But you know, Mitsuru tells that story much better than I can. So let’s hear from our sponsor and get right to the interview. Mitsuru: Yes. For starting. Cheers. Tim: That’s pretty good. So, I’m sitting here with Mitsuru Izumo, the founder of Euglena. Thanks for sitting down with us today. Mitsuru: Thank you for coming today. Tim: I think most of our listeners are not familiar with Euglena, either the company or the organism. First, what is the organism? Mitsuru: Euglena is a kind of tiny microorganism. You can’t see it directly. You have to see through microscope because the length is only 0.1 mm. Tim: So that’s about the diameter of human hair? Mitsuru: Yes. Exactly. Very similar to the human hair. Little bit smaller than the hair. Euglena is green colored microorganisms and euglena have a lot of chlorophyll. Euglena can do photosynthesis by capturing carbon dioxide to produce oxygen and carbohydrate. Tim: Euglena, it’s a single cell organism. Is it a type of algae or is it its own unique type of organism? Mitsuru: It’s difficult to answer. Euglena is a kind of algae, green colored and categorized as a plant. What makes euglena unique is that euglena is a kind of algae and at the same time, euglena can move by itself. Mitsuru: Euglena has both plant and animal characteristics. Euglena have both plant and animal genes. And Euglena can produce both plant and animal nutrition. Tim: So it’s a difficult organism to classify. But if we think of it as kind of a single celled algae, we won’t be too far off? Tim: What’s it good for? Mitsuru: Euglena can produce plant, dietary fiber, fruits and vegetable vitamins, animal protein, dietary fatty acid. You can see in fish oil, every 59 types of nutrients, euglena can produce at one time. Tim: So as a food supplement for people or as a standalone food? Mitsuru: Yes. Standalone food. And it can be cultivated under the sunlight like normal plant. Every plants your see in nature have are very flexible so it’s difficult to be digested. Euglena can move by itself, doesn’t have at all therefore the nutrition can be very easily be digested. Tim: So far, the euglena company has been focused on applications in food and cosmetics primarily, right? Tim: But you’re researching a huge spectrum of applications as well, right? Mitsuru: Right. So there are so many different strains of euglena, over 100 different types of euglena. There are 100 different types of euglena. Tim: Okay. So it’s the euglena strains you use for food are completely different from the euglena strains you would use for fuels or for fiber. Mitsuru: Exactly. So every day, I check and test many kind of euglena. And after the screening process, we cultivate special series of euglena. Tim: A little while later, I want to dive deep into the specific applications that you’re working on and that other companies are working on around the world for this. But just to give me an idea of the scale, you’ve been in production for several years now. So annually, how much euglena are you producing? Mitsuru: The last five years production is doubles every year. 2017, we can produce 100 tons of euglena in a year. Tim: 100 tons per year? Mitsuru: 100 tons as a dry powder. Tim: And your major manufacturing facility is in Okinawa? Mitsuru: In Okinawa. We have a major cultivation factory located in Okinawa, and the most southern part of Japan, Ishigaki Island. Tim: Why did you choose Ishigaki and Okinawa? Mitsuru: Of course, we need a lot of sunlight. Carbon dioxide is everywhere but we need a lot of sunlight. Tim: Okay. But theoretically, this could be cultivated almost anywhere? Mitsuru: Yes, theoretically. But since 1980s, a lot of scientists in the United States and in Japan, they were very interested in the cultivation of euglena because euglena has wide range of nutrients. But it was absolutely impossible. Euglena has wide range of nutrients than every kind of bacteria, planktons, they love to eat euglena in nature. So it’s tremendously difficult to cultivate euglena purely and it’s impossible to prevent from biological contamination. They had set up special facility like green dome, you can see in the semiconductor factory to prevent from other biological contamination. But it’s very expensive and the production capacity was extremely limited. Tim: So what did you do differently? How did you achieve production at scale? Mitsuru: At the time, only 100 grams euglena can be cultivated in a year. This year, 2017, we cultivate 160 tons of euglena. The turning point is 2005. We invented the new cultivation liquid, preventing biological contamination. We don’t need expensive green dome or facilities. Tim: Okay. So the broth or liquid allows the euglena to feed, to thrive but doesn’t allow the other bacteria and the other organisms that would eat it to grow there? Tim: You’ve been ramping up production almost doubling every year, is the doubling of production due to new technology developments or are you simply increasing the scale of your facilities? Mitsuru: We simply expand the capacity of the cultivation or other facilities every year. Tim: Okay. Before we get further into the technology and the applications, I want to back up a little bit and talk about you. Before you were mentioning that the whole inspiration for this project started on a trip you took to Bangladesh in your student days. Mitsuru: Yes. When I was a student, 18 years old, the first grade in the University of Tokyo, I visited Bangladesh in 1998. Bangladesh was regarded as the poorest country in Southeast Asia. The visit was a very shocking experience for me. In Bangladesh, there were a huge amount of rice curry and rice, rice, rice. So many rice are there but the people couldn’t access fresh vegetables, egg, milk, fish, and meat. Tim: So the problem wasn’t one of hunger. It was on one of nutrition? Mitsuru: Yes. The problem was malnutrition. I came back to Japan and I decided to solve the malnutrition program in developing countries. Tim: Okay. But you took a bit of a detour from there because before founding Euglena, you graduated from Todai. You went to work for Mitsubishi Bank. Why the detour into banking? That seems pretty far away from international aid and nutritional problems. Mitsuru: It’s very simple. The lack if fund. It’s financial program. I didn’t have any reputation for solving the malnutrition program. Everyone couldn’t believe that euglena can solve the malnutrition program and the mass cultivation of euglena was regarded as impossible. Tim: This is something I think so many new college grads are struggling with in Japan. Was your decision based on an inability to get funds? Were you out trying to raise funds and could do it or was it more of practical financial issues and kind of family pressures and getting a good job to be able to support yourself? Mitsuru: At that time, we wanted to raise the money and we searched a sponsor but of course, I couldn’t find any financial sponsor. Tim: So you were working in banking, you were saving money. Was it the same team you were working with that whole time? Mitsuru: When I came back to Japan after visiting Bangladesh, I’ve already decided to start the venture corporation, 2000, then enter the banking corporation in 2002. But I and Suzuki co-founder, we’ve already decided to set up Euglena Corporation. Tim: This had been your plan from five years before? Tim: So you knew that banking was a temporary position for you? Tim: What did your family think about you leaving the bank to start a startup? Mitsuru: The banking corporation is highly respected by every family. It’s very difficult to decide leaving from the banking corporation but I’ve already decided 2000. Tim: So your family was expecting it? Because it’s such a good position, and starting a company is such a risky thing to do. Mitsuru: Yes. Exactly. So my parents have to wait long time to understand the whole project in my mind. Tim: Sales have been growing at about 30% a year since you started but you mentioned that early on, you really struggled to find sales until a deal with Itochu. Was that deal with Itochu mainly for sales channels? Was it a research partnership? Why was that deal so important? Mitsuru: The deal so important because Itochu Corporation is one of the leading trading company in Japan and they have many good subsidiaries like Family Mart. Family Mart is one of the largest convenience store groups. They have over 8,000 retail stores all over Japan, and we just is a small startup coming out of the University of Tokyo and we don’t have any good sales channel or a marketing plan. It takes three years, from 2005 to 2008, I knocked over 500 companies to persuade them to apply their companies euglena product. Tim: At that time, were you selling it as a food supplement or were you selling a general technology? Mitsuru: No, no. Only food product, supplemental product. Tim: Okay. So 500 different companies, you approached? Mitsuru: Yes. 500 companies rely on their reputation or track record and we are the first company to succeed in mass cultivation of euglena in the world, 2005. We don’t have any track record for the marketing. Tim: Right. I think this is a challenge so many startups face now, getting that track record. So what was it about Itochu that they decided, okay, we’re going to take a chance with this company without a track record? Mitsuru: Itochu Corporation, they have great knowledge for encouraging startups or venture company, top management. They have strong mindset to make the corporation with startup companies. After six months due diligence process, Itochu Corporation decided to invest and we agreed that exclusively, we sell euglena dry powder as a raw material for producing euglena green smoothies, euglena-infused yogurt. These products are only available at Itochu Corporation networks. Tim: Okay. So it’s a combination of an investment and distribution and an exclusive agreement for some number of years? Tim: Is Itochu still your exclusive distributor of the products? Mitsuru: There are several networks like Family Mart. Itochu Corporation has the exclusive rights. But we sell directly for the Japanese customers under ec channel and the number of monthly subscriber reached around 200,000 people. They put euglena dry powder into the soy milk, miso soup, yogurt, anything that you want. Tim: I can see why that partnership was so critical to your success. Tim: Another things that’s very interesting. 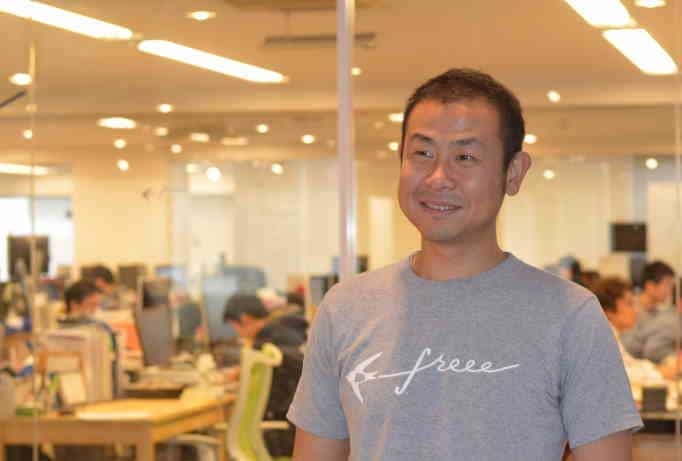 I think one of the biggest differences in the growth path between American startups and Japanese startups, Japanese startups tend to IPO at a much earlier stage than US startups do. At the time of your IPO, you were still a pretty young company. You were having really strong sales growth of, I guess, it was about 30% a year at that point? Tim: 50% annual sales. So fantastic numbers. Tim: Most American companies would try to delay their IPO in that situation. So I’m curious, in your case, what was your thought process? Why did you decide to take your company public at that point rather than to continue to grow as a private company? Mitsuru: Of course, before the decision of IPO, we thought about the difference between private and public companies. But I really want to become the first public company — I mean there are 1,773 startups originated from universities from 2005. Almost all startups fail. Tim: That’s the nature of startups. Mitsuru: Yes. And 2014, Euglena Corporation becomes the first company to be upgraded to the first section of Tokyo Stock Exchange. And after the upgrade, we promote the company’s technology or product very well for the customers, business clients, including government. Tim: So being a public company in Japan, does it make it easier to make those kind of deals? Does it give you the credibility you need to do that? Mitsuru: We have good technologies. We have enough human resources. We need reputation or credibility for persuading people to try to drink Euglena Green smoothies. 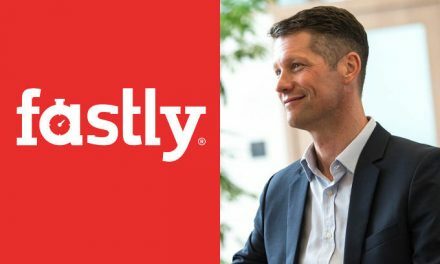 Tim: It seems that a lot of your development through your own corporate history and probably a lot of similar companies in Japan, each step requires building reputation through corporate actions. So the first major step in your reputation was the partnership with Itochu. Tim: Even though you are executing the same way even though you have the same technology, people won’t accept you on the next level until your company goes through these steps. That makes a lot of sense. Because in America, it’s a bit different. The public versus private is not as important. The purchasers are willing to do more due diligence on their own. So that makes sense why we see this big difference between the two. Let’s talk a bit about technology, because I know that’s what’s most exciting here. We’ve talked about all kinds of possible applications for euglena but let’s focus on the ones that are most commercially viable. Right now, you’re focusing on cosmetics and food. Do you see this becoming a mass production food? Do you plan on licensing this technology around the world? Mitsuru: Today, we don’t have funds to license the technology but in different countries, we provide euglena school lunch for 8,000 children in Bangladesh. After 2020-2030, we would like to make the licensing program with the company in Bangladesh or developing countries and produce a huge amount of euglena for school lunch. It’s not just business. It’s social. Tim: To really make a global impact, to improve the nutrition in developing countries around the world, I think it largely comes down to bringing the cost down. It’s fantastic what you’re doing with your charity work but the goal is to get the production inexpensive enough that normal market forces can come into play. Right now, it’s a health supplement. As a health food, it’s still relatively expensive. Tim: How much does the price have to fall before you’re really able to start achieving that dream of reducing malnutrition around the world? Mitsuru: How much? In the last 10 years, the production cost will be reduced 1/10 than the conventional cultivation cost as of 2005. The production capacity is expanded. We want to use euglena as all Fs product. The first F is Food, and the next, Fiber, Feed, Fertilizer, and finally, Fuel market. We have strong confidence to produce euglena in very low cost. Around 2025, euglena bio jet fuel price is competing with the conventional jet fuel, diesel fuel or bioethanol price. And at that time, of course, we can provide and share the euglena food product with a very low cost. Tim: Okay. So you’ve seen a factor of 10 reduction since 2005. And over the 7, 8 years, you expect 10, 20. Mitsuru: We do the same thing. Tim: And then it’ll make commercial sense as a food supplement, as a nutritional supplement anywhere in the world? Tim: So before, you mentioned that the strain of euglena is different for food and fuel and fiber. So the production process is also different? Tim: Okay. So it’s not just the organism but it’s the way you grow it and the way you process it? Mitsuru: The cultivation liquid, the cultivation facility, process, technology, every process are different. For producing euglena bio jet fuel product, we apply the G modified technology for reducing the production cost because the customers like ANA or JXTG is the largest oil company in Japan. They don’t care. Tim: If it’s a GMO fuel. Right. Because no one is eating it. Before we get into the fuel, which is really interesting to me, when I was researching for this, I found that NASA, in the 1970s was doing research on euglena as part of their long term space program. Tim: But I couldn’t find out what the results were, what their objectives were. Were they planning on using it for food, for fuel? What was NASA’s interest in euglena? Mitsuru: First of all, NASA’s project was organized by Prof. Isaac Barvin. I heard NASA’s intention by him and he said that NASA’s first priority is to cultivate euglena in the outer space for producing food. And the second objective is to circulate carbon in limited outer space. Tim: So to remove CO2 as part of the carbon cycle with people? Tim: Okay. I guess they abandoned for the reason you were talking about before until your new development, it was just too expensive to develop. Tim: Excellent. That’s really interesting. Okay. Let’s talk about fuel. This is really interesting to me. You’re running so many different research projects with ANA, with oil companies. Tell us a bit about some of these projects. Mitsuru: 2015, we’ve announced that we will become the first company to produce bio jet fuel for Tokyo Olympic/Paralympic Games 2020. This year, we just started to construct Japan’s first bio jet fuel refinery plant located in Yokohama because Yokohama is very close to the Haneda, Tokyo International Airport. We can easily transport and sip euglena bio jet fuel for ANA. ANA, All Nippon Airways, is the largest airline company in Japan and JXTG is the biggest oil company in Japan. They are our R&D partners and one of the main shareholders as well. Their objectives are to realize Japan’s first bio jet flight on the Tokyo Olympic and the Paralympic Games. Tim: Is the objective to have the biofuel mixed in as a percentage of the regular jet fuel or will the jets be flying on 100% algae or oil or energy? Mitsuru: 100% is difficult and impossible by 2020 because the regulation for using bio jet fuel, euglena bio jet fuel is already tested proven enough by the American regulatories. Tim: I guess the biggest question, so most biofuels today are either made from corn or from sugarcane because those have the highest energy density and can produce the lowest cost fuel. When do you think that euglena-based jet fuel will be able to be produced at about the same cost as the traditional kerosene jet fuel? Mitsuru: Euglena has mainly two advantages comparing to the conventional feedstock. The first one is productivity. We set up new euglena cultivation factory in Mie Prefecture and very close to the Chubu Electric power plant. Power plant emit a huge amount of carbon dioxide and emitted gas contains roughly 300 times condensed carbon dioxide comparing to the normal air. We capture and use emitted gas into the cultivation liquid and some kind of euglena can take and use, reduce the faded carbon dioxide, and the productivity can be boosted by using emitted gas. Tim: When do you think that the algae-based fuel will cost about the same as the kerosene-based fuel? Mitsuru: The target is around 2025. Mitsuru: That is the timing if we can produce parity price of the conventional crude oil-based jet fuel kerosene price. Tim: That will be amazing to see. Mitsuru: Because of the productivity. Tim: There are so many more question I want to ask you but I know you’re really pressed for time. So before we wrap up, I want to ask you what I call my magic wand question. That is, if I gave you a magic wand and I told you that you could change one thing about Japan, anything at all, the legal system, the way people think about risk, the education system, anything at all to make it better for startups in Japan, what would you change? Mitsuru: I’d like to change the mindset. If someone says we want to become the innovator, almost all Japanese people, they don’t respect innovative actions or startups. If I have a magic wand, I’d like to change the mindset. Tim: Does that mean just you’d make people be more open-minded and accepting of new ideas or maybe make people be a little more open-minded and tolerant of people who are trying new ideas? Mitsuru: Yes. And hopefully supporting for the entrepreneurs. Tim: Do you see that changing? Do you think Japanese society is becoming more tolerant of people taking risks and more willing to try new things? 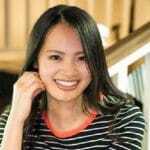 Mitsuru: Tolerant or not, in the University of Tokyo, the situation is dramatically changing for the well direction, enough good changing are coming in the last five years. So it can be done. Tim: So maybe we’ll see that spreading throughout Japan. Tim: That would be great. Well, listen, Mitsuru, thank you so much for taking the time to sit down with me. Mitsuru’s explanation of how we’ve known about the benefits of euglena for decades but have been unable to cultivate it was so simple it was almost funny. We humans are effectively competing against dozens of different microorganisms, all of who find euglena an extremely potent food source. So far, we’ve been losing. The microorganisms have been eating our food. The real secret of Mitsuru’s success has been his team’s ability to create a production process that avoids contamination from all these microorganisms and leaves euglena all to ourselves. And when I say secret, I mean it. It’s a trade secret that the Euglena Company guards very closely. One of the most interesting parts of Mitsuru’s story was why he made the decision to seek outside investment and to IPO. Now, Japanese companies tend to IPO at a much earlier stage than do their US or European counterparts, who in general, try to remain private as long as possible. In fact, most Japanese IPOs result in a company with a market cap of less than $20 million. But as Mitsuru explained, in Japan, an IPO means respect. There were certain deals he could not have made as a private company. 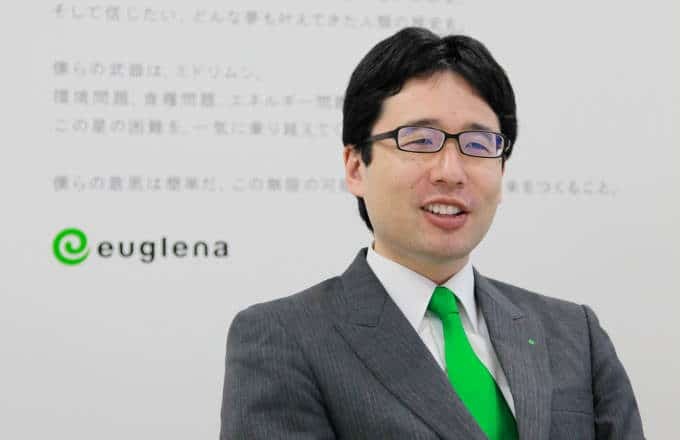 Euglena was growing fast and had access to plenty of private funding but continuing their sales growth particularly among conservative firms like airlines, oil companies, and food retailers meant going public for marketing prestige rather than for financial reasons. If you’ve got a story about health drinks or alternative fuels, Mitsuru and I would love to hear from you. So come by DisruptingJapan.com/show104 and tell us about it. 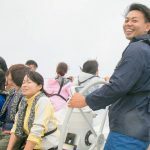 And when you come to the site, you’ll see all the links and resources that Mitsuru and I talked about and much, much more in the resources section of the post.